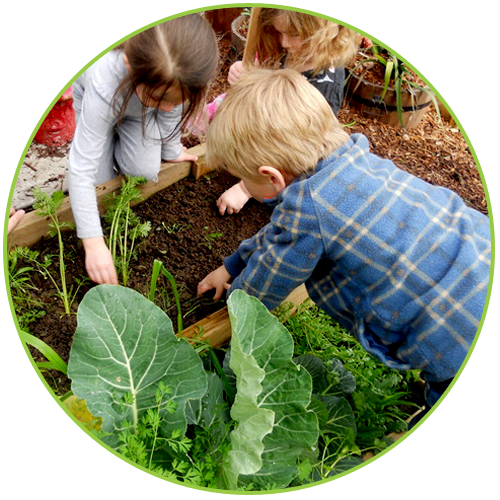 Contemporary theories and research informed by the Reggio Emilia approach recognise and value the environment as a ‘third teacher’. Behind educators and families, physical spaces hold the potential to influence what and how children learn. Learning environments engage and foster a sense of ownership and respect when they are aesthetically pleasing, reflect the identity and culture of children and families, and encourage a connection to place. As such, the physical environment is never simply a backdrop to the curriculum; it is an integral part of the curriculum or leisure based program. An environment with rich and built-in learning opportunities also frees educators to interact with children. and a quiet fairy & gnome garden for us to explore in.